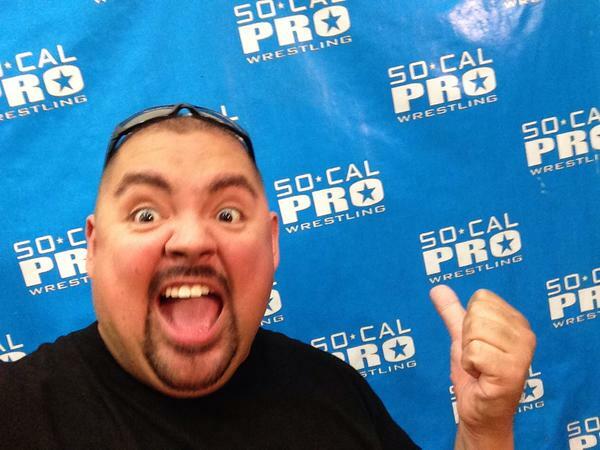 It’s no secret that So Cal resident & Comedian Gabriel Igelsias is a fan of Pro Wrestling. 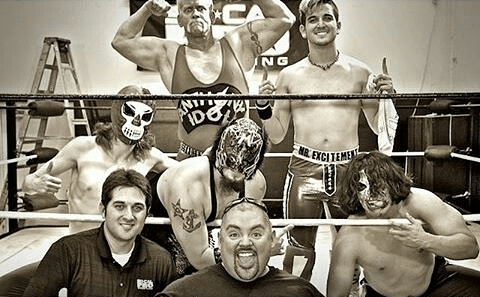 Iglesias has had opportunities to meet wrestlers in the past & attend shows like Championship Wrestling From Hollywood as well as work with them in projects like the film Magic Mike with WWE Hall of Famer Kevin Nash. But Gabriel Igelsias has a new show on the FUSE network entitled “Fluffy Breaks Even” while on tour with his fellow comedians, he sends out a twitter post asking his fans about places to eat but also certain types of work outs to lose weight. Well in an upcoming episode which I believe is slated for next week, Gabriel Igelsias along with his friends will be in San Diego, Ca as they’ll be dining at a favorite hot spot (I believe it is Taco Libre), the themed Lucha Libre restaurant with tons of photos, masks & anything else Lucha Libre. But as for his work outs, he’ll be visiting So Cal Pro Wrestling as they put him & his friends through an intense session. Again, if you’re a fan of Pro Wrestling & Gabriel Igelsias, this upcoming episode you don’t want to miss. Check your local network provider to see if you carry the FUSE Network. For Direct Tv subscribers, the episode is entitled “San Diego”.